Licenses barbers with more than twenty-five years of experience. All types of textures of hair. Chemical services by appointment only. We service men, women and children. Open Sunday and Monday by appointment only, Tuesday through Friday from 2PM to 7PM and Saturday from 8AM to 7PM. $10 basic haircuts, $15+ specialty haircuts, and $5 basic shaves/line-ups. Call for information on all other prices. Mention "Eat, Shop, Play" website for $2 off. Promotion valid Tuesdays between 2PM and 4PM, and only for first-time customers. 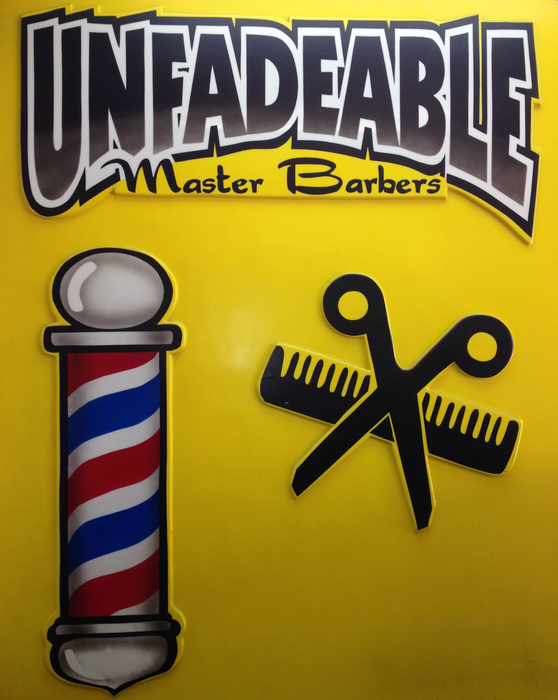 Unfadeable Master Barbers is located at 5870 Crenshaw Blvd, Los Angeles, CA 90043.